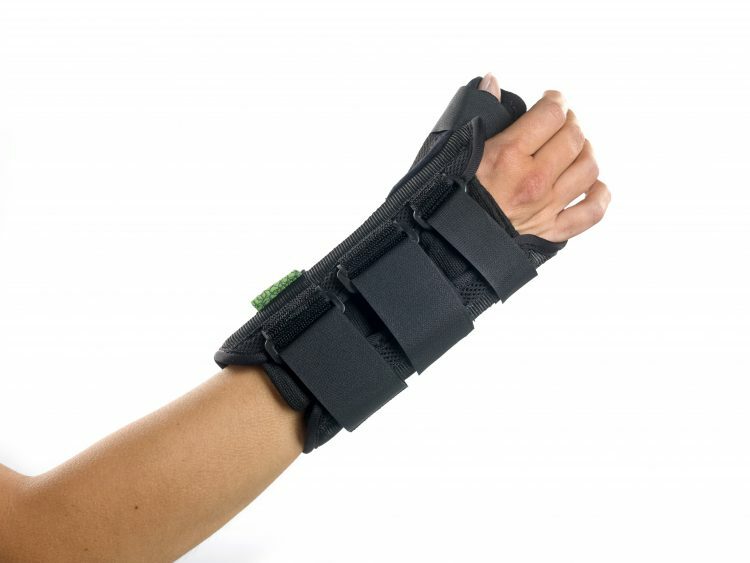 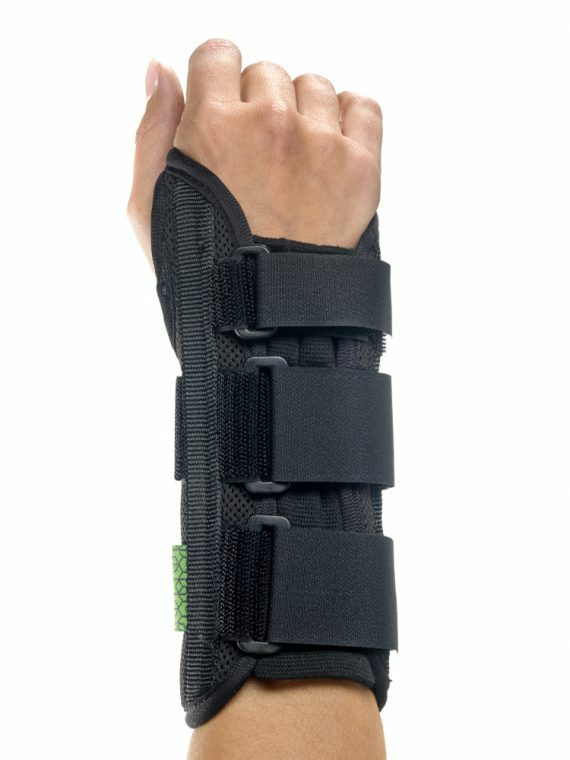 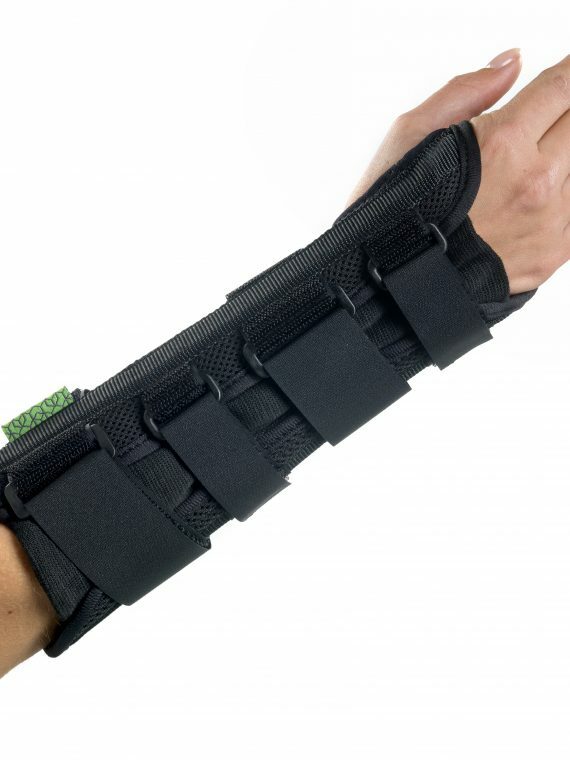 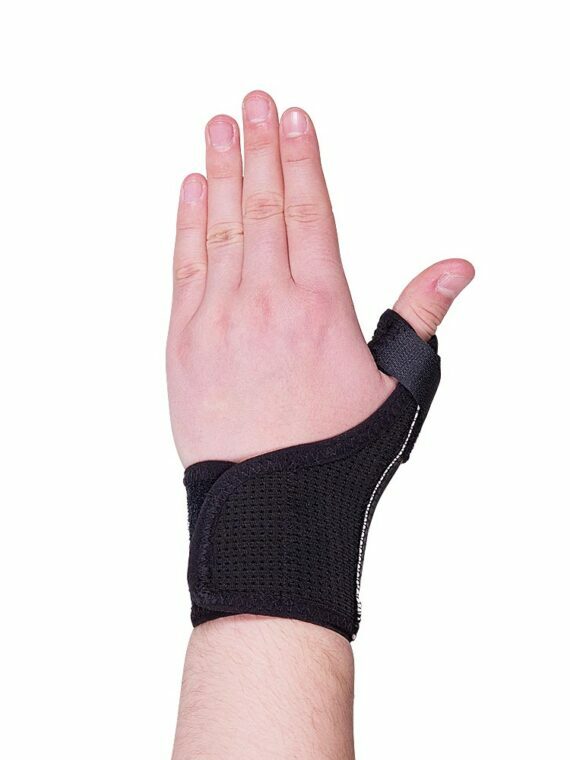 A very high-quality wrist brace with additional stays for extra stabilization of the wrist and thumb. 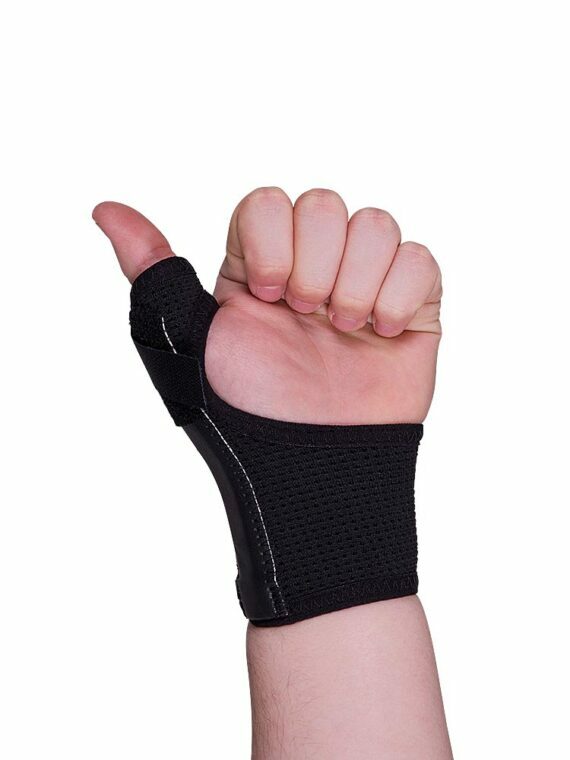 The spacer fabric ensures better skin aeration providing superior patient comfort and compliance. 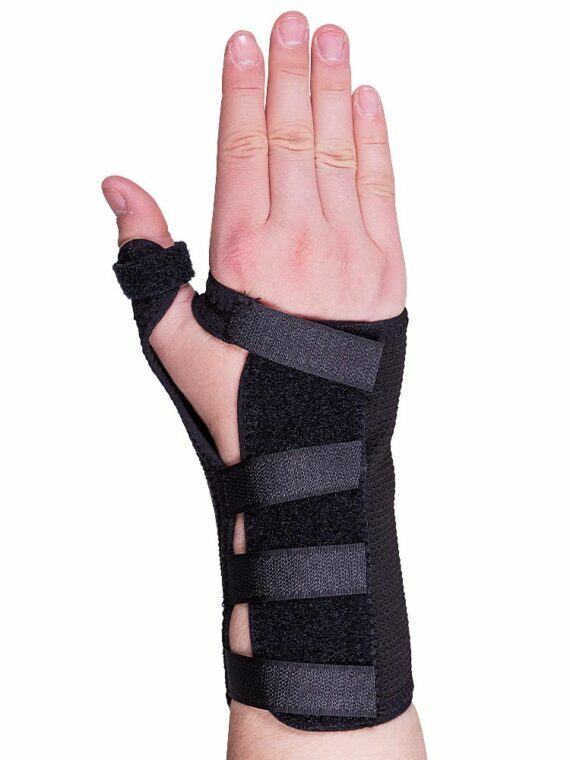 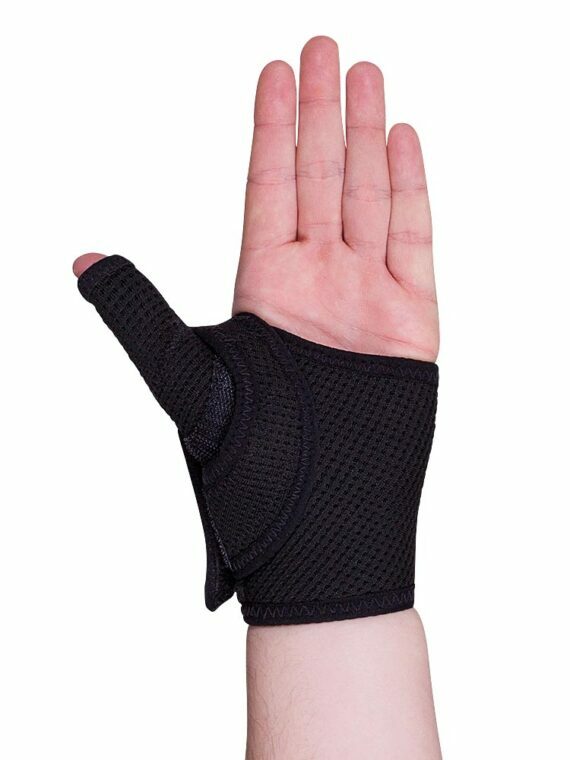 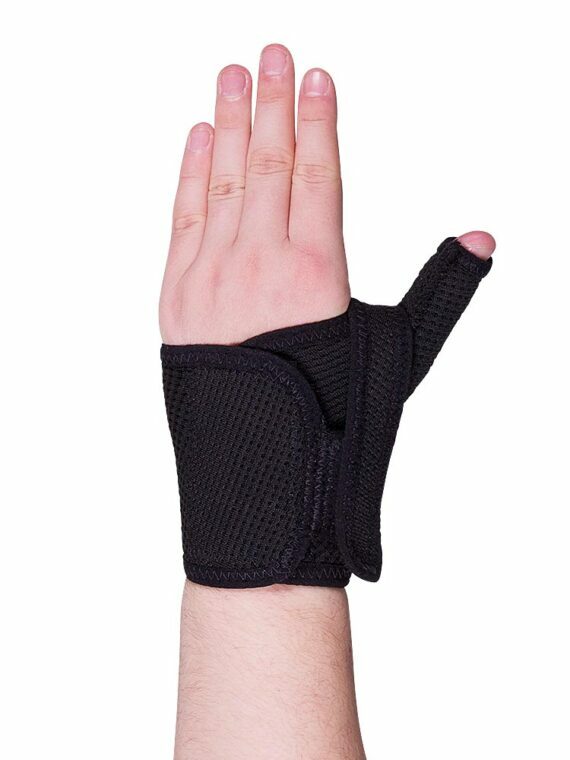 Anatomic design and shape for ultimate support with short and long preformed plastic supports for the thumb. 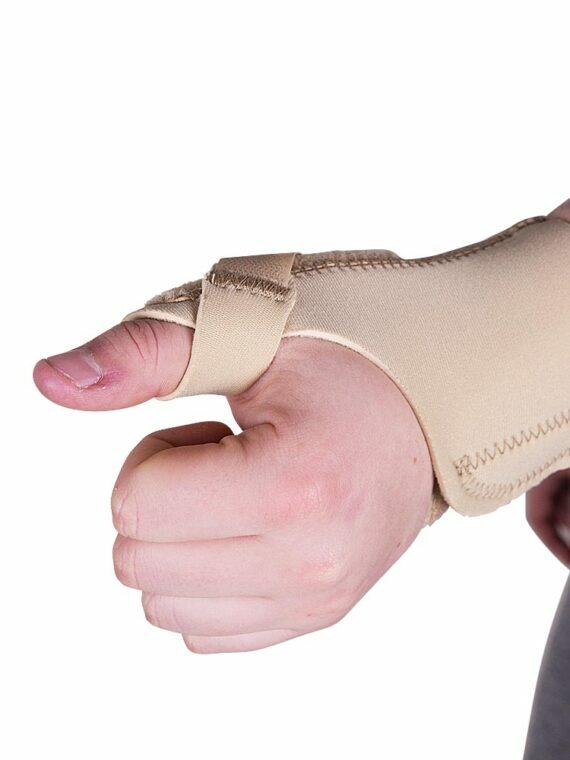 This provides an option for support graduation. 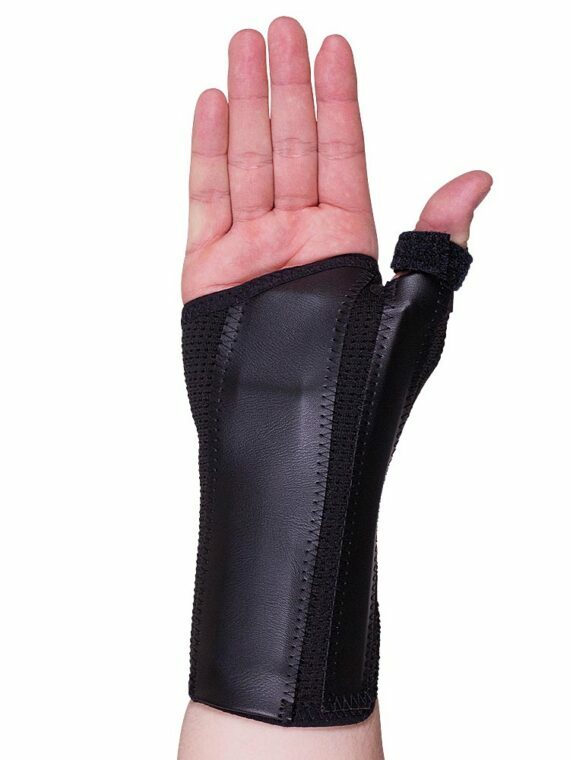 Easy application via sleeve concept. 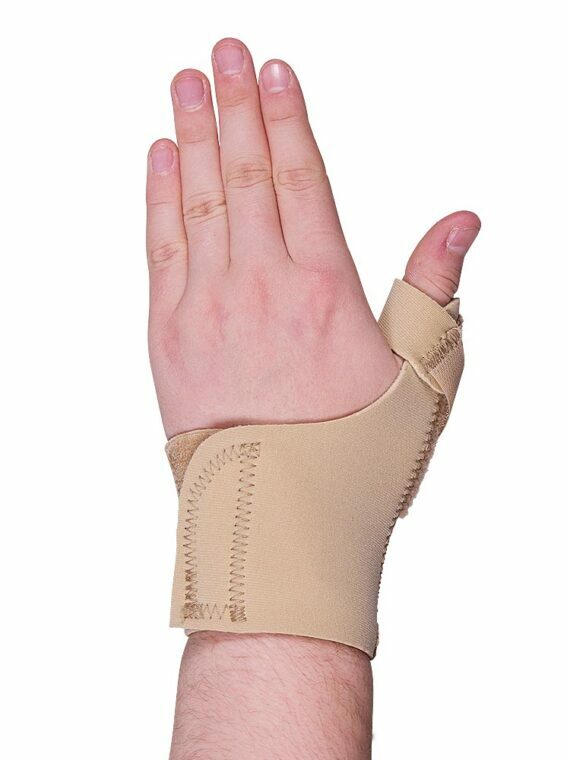 Available in left and right and in 4 sizes ranging from small to extra-large.